In the wake of the Virginia news shootings, many workplaces are most likely looking into the ‘threat assessment’ of current or former employees. What if anything can we learn from this terrible tragedy and are there signs that people should be looking for? “Lack of motivation, change or dip in performance. We look for sudden outbursts of anger,” Charity Hughes of the Society for Human Resource Management said. Hughes travels around the world consulting companies on human behavior in the workplace. Following news accounts on the gunman in Virginia, she says there were disturbing signs of trouble ahead, warning signs that she looks for in employees. “We also look for sensitivity to criticism that often times can be a real indicator when people all of a sudden don’t want to accept any criticism or constructive feedback about their performance,” Hughes said. Many businesses have become increasingly interested in assessing their employees as threats in the wake of recent high profile workplace violence. In September 2010, disgruntled employee Yvonne Hiller barged into the Kraft Foods plant in Northeast Philadelphia and shot and killed two co-workers and wounded a third. In August 2008, a disgruntled former employee at the Simon & Shuster book warehouse in Bristol shot and killed his former boss and a co-worker. “There are some cancers that can’t be cured, unfortunately, to draw an analogy,” Dr. Carla Rodgers, a forensic and geriatric psychiatrist, said. Dr. Rodgers says in the case of Virginia shooter Vester Flanagan, the television station did the right thing in firing him for not getting along with co-workers. “[But] it’s not just a matter of kicking the guy out,” Rodgers said. Dr. Rodgers says clearly the man showed signs that he was deeply disturbed. But often times when people like him are fired for their behavior, no one keeps tabs on them. “The employers did what they could to get him out of the workplace, but that’s not always enough. I think we as a society need to take more care of disturbed individuals because if we don’t this is the outcome,” Rodgers said. Overall, Dr. Rodgers believes that companies need to reevaluate the notion that just because you fired a troubled employee, he or she is no longer your problem. Often times, as we have seen time and time again, that is not the case. 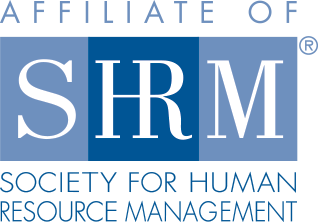 © 2015 Philadelphia SHRM. All Rights Reserved. Web Design by Push10.